In case you haven’t already noticed, fall weather can be quite tumultuous. One day you’ll be sweating through your clothes during a sweltering heat wave, and the next you’ll find yourself braving everything from a light drizzle to a torrential downpour. In confusing weather cases such as this, a pair of ankle rain boots will be the perfect kind of shoes to throw on as you head out the door. When you’re trudging around in puddles of water, rain boots are key. Sure, you could opt for a pair of classic knee-high options when you need a little more coverage, but these shorter boots will be the perfect addition to your fall outfits when heavy-duty rain boots aren’t 100% necessary. Slip them on with a pair of classic skinny jeans or let them be the focus of our outfit with a chic skirt, but whatever you choose, we can promise you’ll be grateful for the practical footwear selection ahead. From bright boots that’ll grab anyone’s attention to classic black Chelsea boots, we have a feeling you’re about to fall in love with our selection below. These look so good with a pair of skinny jeans. How cute are these booties? You can never go wrong with a pair of Hunter boots. Slip these on when you’re in a hurry to get out the door. This color is so chic. Catch the right type of glances in these. You can’t go wrong with these in the rain. A pair of yellow boots will brighten up any rainy day. 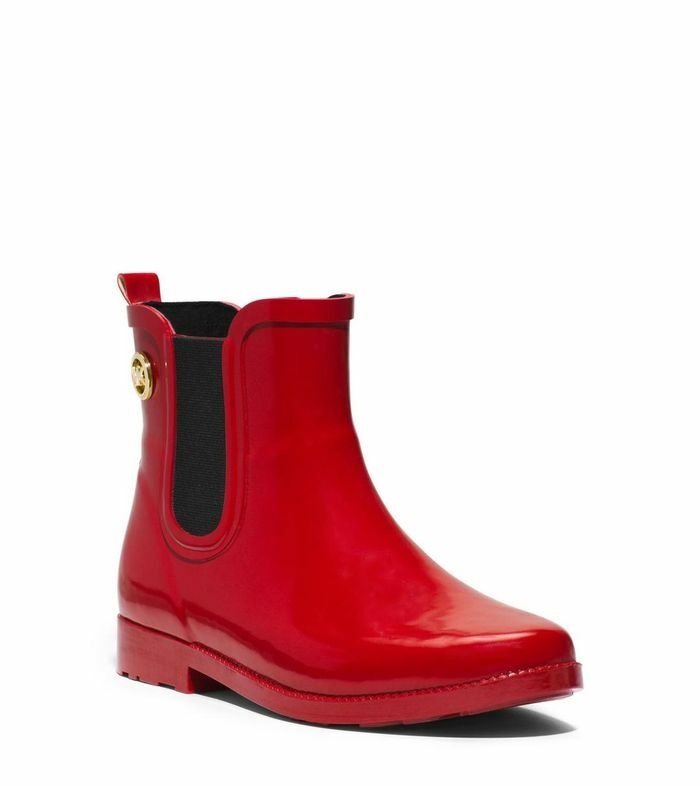 You’ll hardly believe these are rain boots. This color is so unexpected. If you’re a white-boot type of person, these are for you. Wear these with any of your fall outfits. Rain boots, but make it athleisure. We love this black-and-white option. Next up, throw on a sheer raincoat to let your outfit shine—even in the rain.